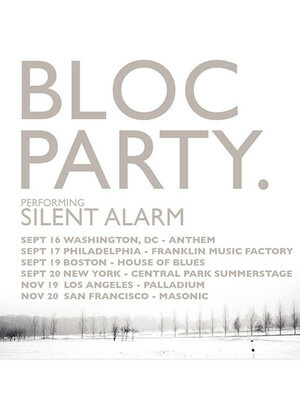 One of the coolest bands to come out of Britain in the last 20 years, alt-rockers Bloc Party have emerged following hiatus and are set to head out on an exclusive six-date tour this year in celebration of their platinum-selling debut, Silent Alarm. Now 15 years old, the record's incendiary fusion of rock, electronica, post-punk and more put the 'Party on the map and remains a staple in the collection of any indie rock enthusiast. Founder members Kele Okreke and Russell Lissack are joined by new members Justin Harris and Louise Bartle on the trek, where you'll hear the album in its entirety including singles 'Helicopter', 'Banquet' and 'This Modern Love', alongside more of their propulsive hits! Seen Bloc Party? Loved it? Hated it? Sound good to you? 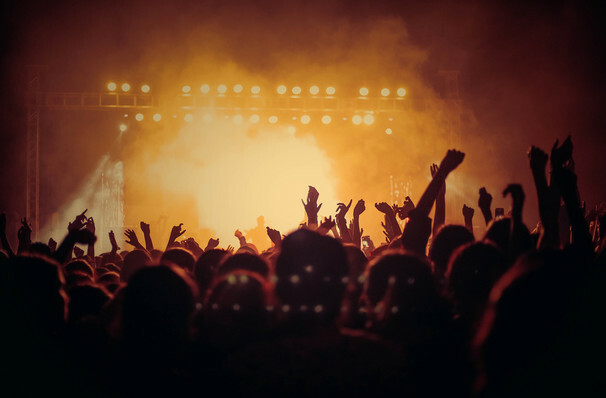 Share this page on social media and let your friends know about Bloc Party at Nob Hill Masonic Center. Please note: The term Nob Hill Masonic Center and/or Bloc Party as well as all associated graphics, logos, and/or other trademarks, tradenames or copyrights are the property of the Nob Hill Masonic Center and/or Bloc Party and are used herein for factual descriptive purposes only. We are in no way associated with or authorized by the Nob Hill Masonic Center and/or Bloc Party and neither that entity nor any of its affiliates have licensed or endorsed us to sell tickets, goods and or services in conjunction with their events.